Push Video pushes your worry away. This DVR series features powerful mobile surveillance, especially the sending of active event notifications with video playback to iPhone, iPad, Galaxy and other Android devices. 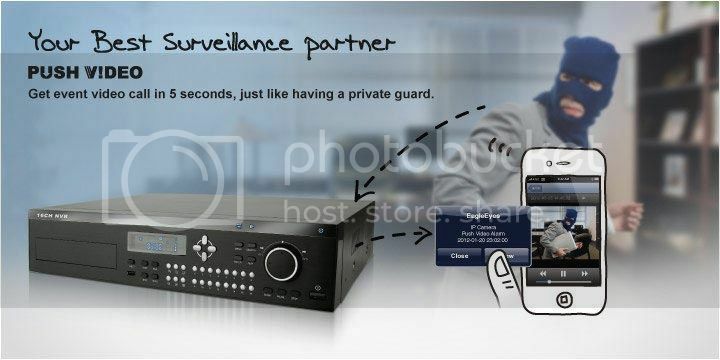 To have this special service, a specific camera type should be connected to this DVR series, such as the camera with a human detection sensor, or the camera capable of connecting external alarm devices. And as long as our free mobile app, EagleEyes, is installed, you'll be able to receive notifications right after event occurrence within 5 seconds, and see what happened later. It keeps an eye on the thing or area important for you and never gets asleep. 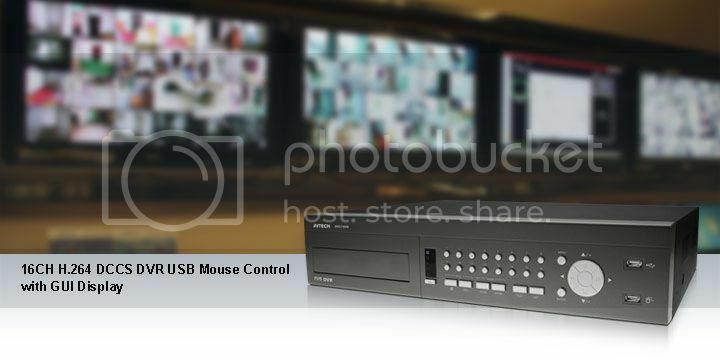 AVC700 is a 16CH all-in-one H.264 DVR with advanced features, such as all-channels full D1 recording, Push Video to send active mobile event notifications, intelligent video analysis (IVA) for flow counting / virtual fence / one-way pass, and eSATA interface for external disk array connection. AVC792PV is a 4CH Full D1 H.264 DVR with active mobile event notifications (Push Video), and all basic functions you needed, such as dual video output, external alarm devices connection, motion detection, and remote independent operation. AVC794C is a full D1 4CH H.264 DVR with smart video analysis (IVS) and active mobile event notifications (Push Video). Smart video analysis includes virtual fence, one-way pass and flow counting. You could configure any of the three based on your monitoring needs. And when it is used with our human detection camera series or Push Video camera series, you can configure this DVR to actively make a video call to your iPhone, iPad or Android mobile devices (except for HTC devices) for an alarm event. 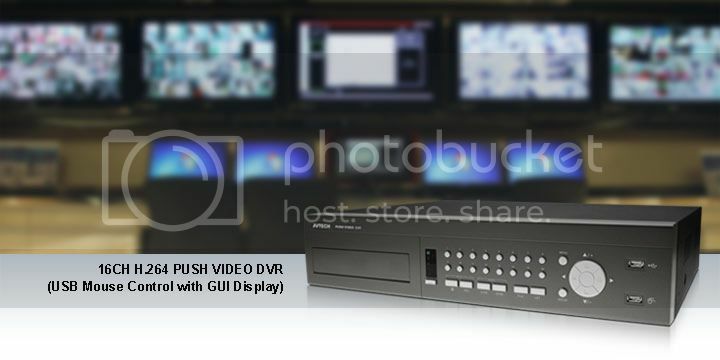 AVC796PVD is a 8CH H.264 DVR with active mobile event notifications (Push Video) and all basic functions you needed, such as dual video output, external alarm devices connection, motion detection, and remote independent operation. AVC798PVD is a 16CH H.264 DVR with active mobile event notifications (Push Video), and all basic functions you needed, such as dual video output, external alarm devices connection, motion detection, and remote independent operation. 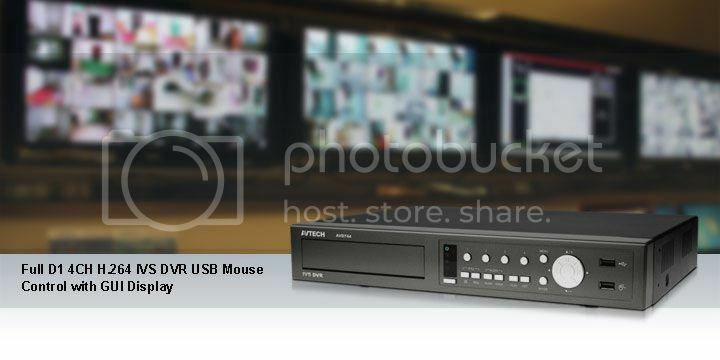 AVC799B is a 16CH H.264 DVR with smart video analysis (IVS) and active mobile event notifications (Push Video). What's more, this DVR also supports AVTECH unique DCCS technology (4 channels only) to simplify the connection to AVTECH controllable or high-end camera models, such as AVK563 or AVK584. It elliminates the need to connect RS485 control wires to transfer control signals . AVD744C is a full D1 4CH H.264 DVR with smart video analysis (IVS) and active mobile event notifications (Push Video). What's more, this DVR also supports AVTECH unique DCCS technology to simplify the connection to AVTECH controllable or high-end camera models, such as AVK563 or AVK584. It elliminates the need to connect RS485 control wires to transfer control signals. AVD746B is a 8CH H.264 DVR with smart video analysis (IVS) and active mobile event notifications (Push Video). AVD748B is a 16CH H.264 DVR with smart video analysis (IVS) and active mobile event notifications (Push Video).